With the holidays right around the corner, it’s time to really buckle down and get things done! I have been extremely excited to get everything prepped and ready. I am almost done wrapping all the kids gifts, which shockingly is way less fun than I remember last year. Wrapping gifts for 7 kids plus a husband isn’t as fun as it sounds, believe me. SO MANY THINGS. 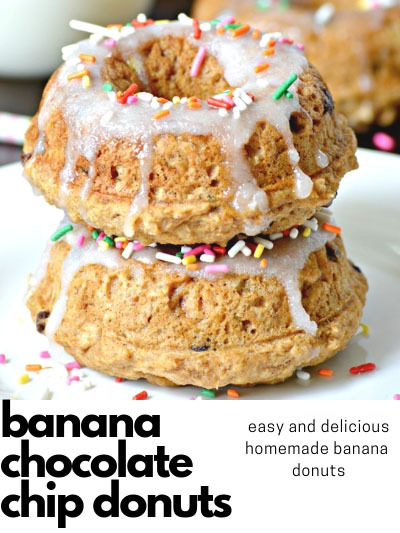 This year, If you are looking for something fun and creative to gift that maybe even the kids won’t think of – this is the post for you! Little Tikes has always been a trusted brand name in our house! So of course, there are always some Little Tikes toys under our tree every year. 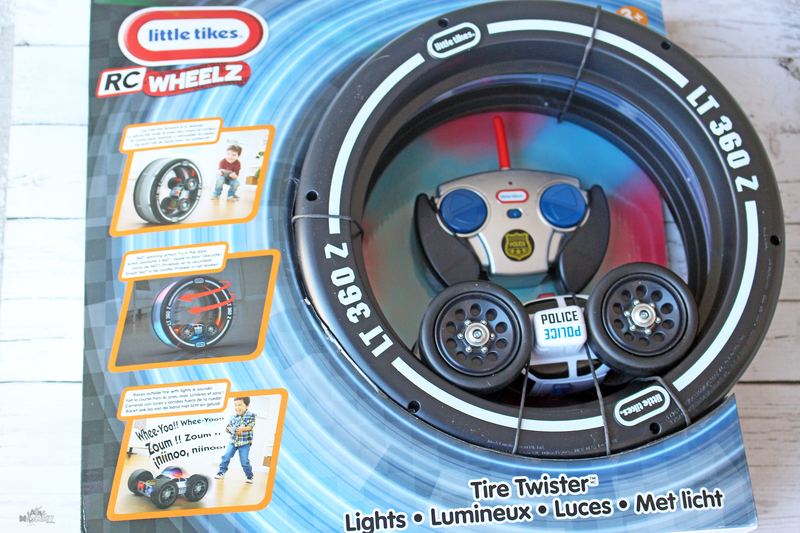 This year I’m excited to have the Little Tikes Tire Twister Lights ready to go for the boys. 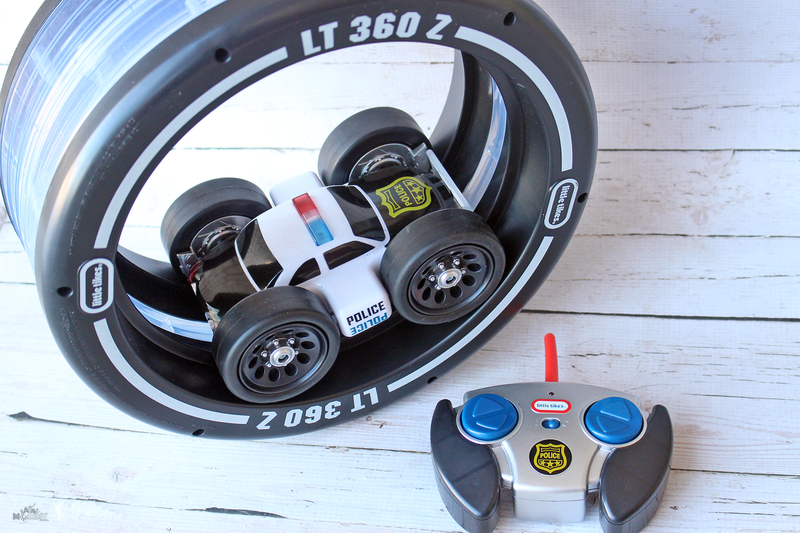 Place the RC car in the wheel – make it go forwards, backwards and even spin 360 degrees! 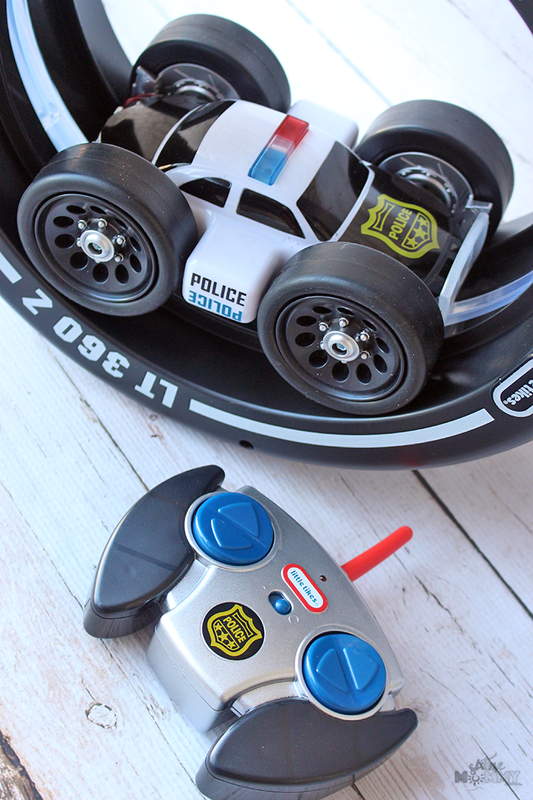 Remove the RC police car from the wheel for more wild and fun action! I’m also excited because a brand new toy to our household will be under the tree for Ava this year as well. 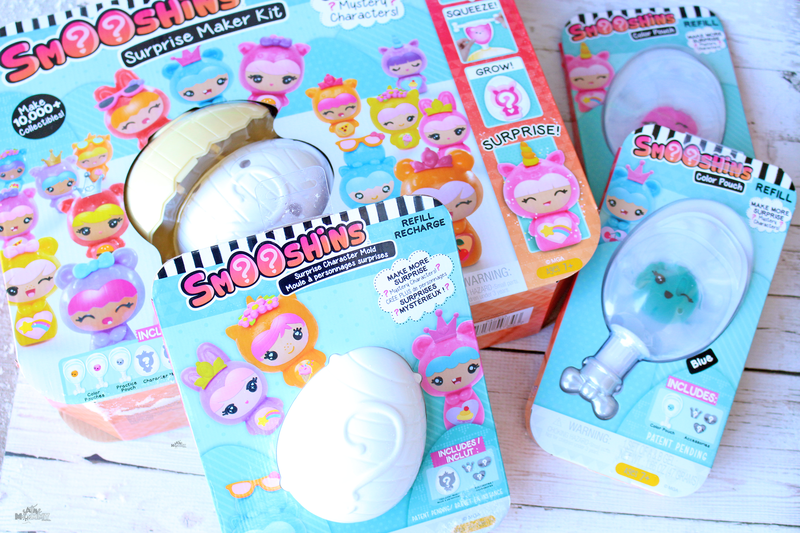 Smooshins are super cute and exactly what Ava loves to collect! She has been playing with some Smooshins for a few weeks now and thinks they are just the greatest. For kids, being able to collect some items gives them something to look forward to and do beyond just wanting all the toys. The Smooshins Surprise Maker Kit comes with everything you need to make your own Smooshins and get your collection started! Surprise! You’ve made a cute smooshy character customized by colour and accessories – faces, bellies, and headpieces! 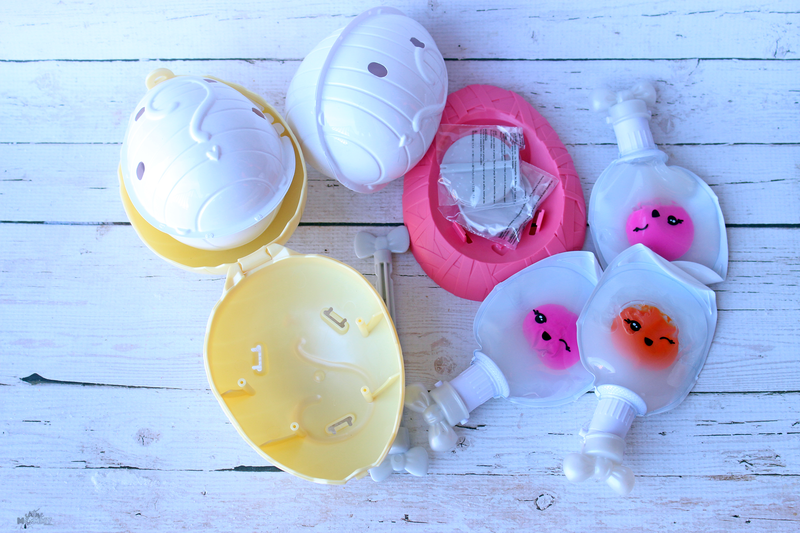 Make more Smooshins using the Surprise Character Mold Refills! 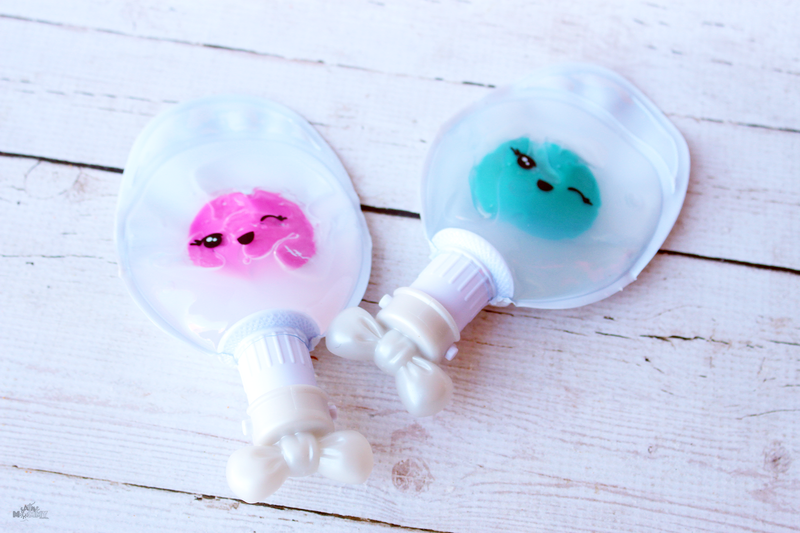 Place your surprise character mold inside of the Surprise Maker (sold in the Surprise Maker Kit) and pop, mix and squeeze your colour pouch (sold in Color Pod Refill Asst) to reveal your surprise character! Includes surprise accessories (face, belly and headpiece) to customize your smooshy characters. 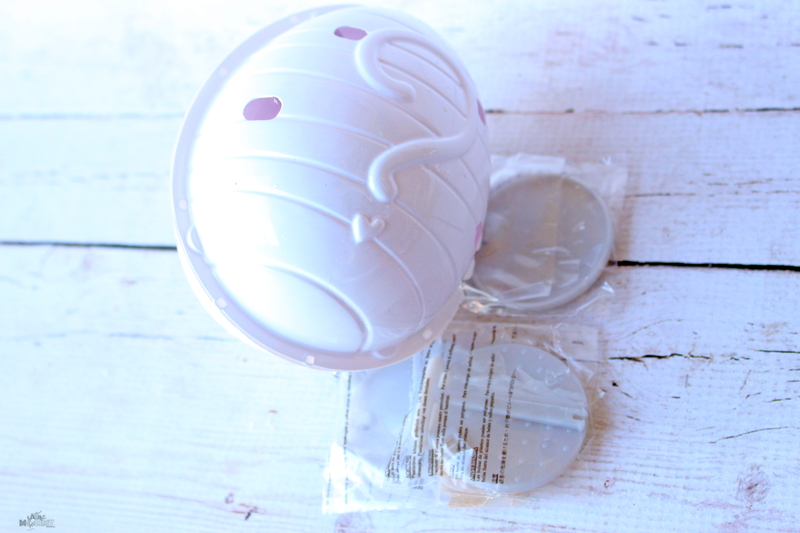 Each Character Mold Refill comes with 1 surprise character mold, 3 character accessories, and 1 character stand. Collect all the characters! Make more colourful Smooshins in 6 different colours! 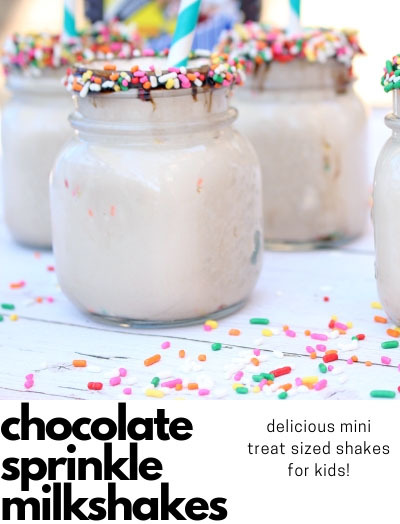 Just pop and squeeze the pouch into the Surprise Maker (sold in the Surprise Maker Kit)! Collect all the colors…each with a different set of surprise accessories – face, belly and headpiece. Each Color Pouch Refill comes with 1 colour pouch, 3 character accessories, and 1 character stand. Collect them all! Now, something I get excited about every time I partner with MGA Entertainment on these fantastic tox boxes – the big giveaway! You will now enter to win a box full of all the fun goodies I’ve written about over the last few months! We are so excited for this giveaway as we adore everything we got and know you will too, Good luck to all those who enter!